I like this funky looking thing. But I think "Handcrafted in Berlin" is code for "will cost an arm and a leg". Electric motorbikes seem to be everywhere. I've started to see some funky chinese moped-like things delivering Thai and Chinese food around Manhattan and Broolyn. Now that the 1st annual TTXGP (zero emissions motorbike race) at the Isle of Man is over (written up perfectly here in the L.A. Times) and with development happening everywhere at once, we'll probably start to see "right sizing" of pricing structures for some mass produced Factory models out of Asia. 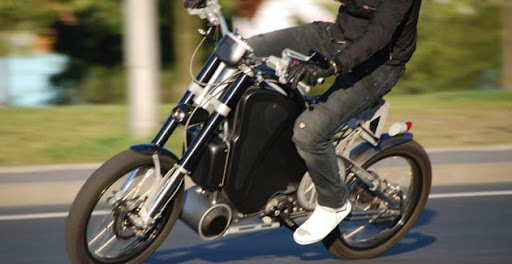 People are doing stuff in their own garages, both Yamaha and Honda are rolling out e-bikes in the next 24 months, parts are readily available for DIY projects and there are plenty of on-line guides. It looks like the Golden Age of Electric Motorcycles has begun.